There were several extraordinarily talented makers in France during the 19th century. In recent years, J. B. Vuillaume has received so much attention that as a result there are many wonderful instruments that are under appreciated and consequently, at present, undervalued. The Silvestre family came from the town of Sommerviller, about 60 km northeast of Mirecourt. The two brothers, Pierre (b. 1801) and Hippolyte (b. 1808) followed similar paths. Pierre became a pupil of Blaise in Mirecourt before moving to Paris to work for Lupot and Gand père. Hippolyte also worked with Blaise before moving to Paris to work for Vuillaume. He left Paris in 1831 to join Pierre in Lyon where he’d moved a couple of years earlier and opened his own business. Pierre and Hippolyte worked together, and the Stradivari and Guarneri models that they produced compare with the very best French instruments of the day. Hippolyte retired in 1848 but returned to the bench after Pierre died in 1859. This beautiful cello was made during this period, before Hippolyte finally passed on the business to his nephew Hippolyte Chrétien in 1865. 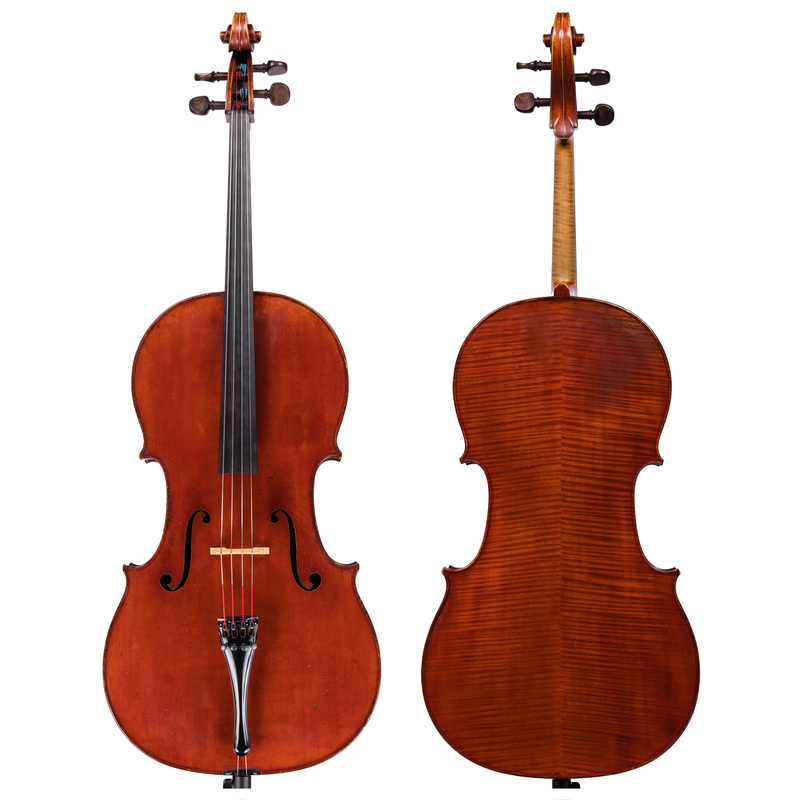 It is built on a fine Stradivari model, and has the typical dark red Silvestre varnish which was shaded from the outset. The sound of the cello is as one would expect, powerful and rich. It was seen and heard for many years as the cello of the Alexander String Quartet and their many distinguished recordings attest to the cello’s quality and potential future.